I am loving the trends that I am seeing for the season! I attended the release of the new Motives Collection, and I am in love with the new products they launched. I have been seeing a lot of purples and darker colors for the lips, and Motives came out with new All Day Liquid Stick Mattes. There are 4 gorgeous colors that stay on!!! Yes, you heard me, they stay on. Look at how gorgeous these colors are. I have been mixing them and doing an Ombre’ lip too. You have to experience the new Shimmer Powders. They are so gorgeous, and they even have a beautiful Rose Gold color. I have been seeing so many Rose Gold Looks and these powders are great highlighters, but also eye shadows. Check out this fun video! I LOVE that they show all ages. You all probably know by now that I just finished up with my “Beauty In All Ages” Campaign. I hope more cosmetic lines follow their lead because women are wanting to see real, every day women! 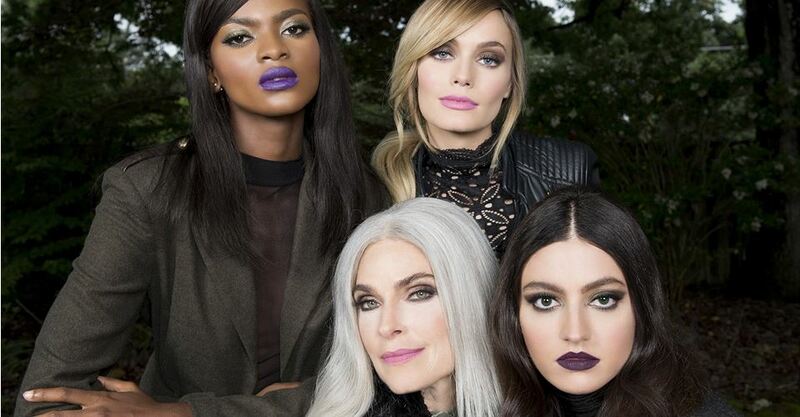 Let your makeup do the talking with Motives Autumn/Winter 2016 Collection. This season is about taking risks, being confident in your own skin and believing that your diversity makes you beautiful. Discover the look that defines you — powerful, beautiful, unique. What trends are you looking forward to trying?